Used in applications where low smoke and low flame are a concern, as in air handling spaces. 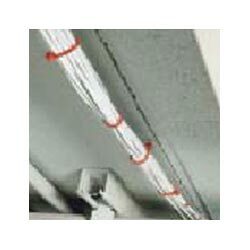 Cable ties meet NEC regulations and are UL 94V-0 rated. Offered in a distinct color of red for easy identification. 100 ties per package.